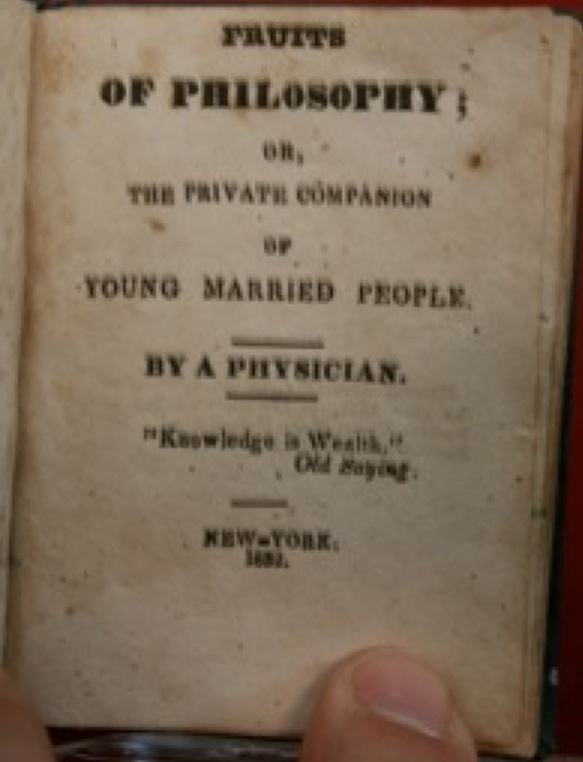 The Historical Society: Self-publishing Histories? I’ve been pondering the idea of self-publishing history, and I think the time has nearly come. Say self-published to anyone over about 30, and the first thought they’ll probably have is “vanity press.” It has always been possible to have a manuscript printed and bound, and there are plenty of examples of useful histories that have been produced this way. Nearly all the “Centennial” histories on display or for sale at small-town historical societies were written by local people, mostly without formal literary or historical training, and published in small lots by local printers or specialist publishers. There were once many more local printers willing to take on “octavo” printing and bookbinding. 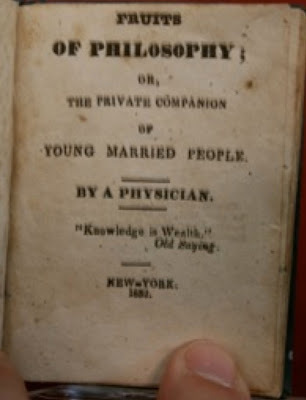 Dr. Charles Knowlton, for example, self-published his 500-page tome Elements of Modern Materialism using a small printer in Adams, Massachusetts, in 1828 (he bound the volumes in leather and stamped the spines with gilt ink himself), and his infamous birth control book, The Fruits of Philosophy was also produced at Knowlton’s own expense and sold by Knowlton out of his saddle-bags to his patients, until Abner Kneeland began advertising an expanded second edition in The Boston Investigator in 1833. There are a number of companies specializing in reprinting out-of-copyright books, and many old town histories are for sale at historical societies in these reprint formats. But there are many more stories at these repositories than made it into those old histories, and there are often local historians who work for years at these societies, digging up material on particular families, or on political and social movements that interest them. The market for their stories may be very specific (as in the case of town or regional history), diffuse (as in the case of genealogy), or may be too small to be economically feasible for a standard publisher. This is where self-publishing can change the game. I’ve been watching the self-publishing industry for several years, and it has changed dramatically. When I wrote my first novel, companies like iUniverse were just beginning to offer self-publishing packages online. These companies used the newly-developed print on demand technology that companies like Amazon and Ingram were adopting to produce mainstream titles just-in-time, to print their clients’ work. They offered editorial services, marketing packages, and bare-bones “publishing,” if you wanted to do those other things yourself. For a little over a thousand dollars, you could get your book into print. The objection to vanity publishing has always been that it’s trash. If you couldn’t get a publisher interested in your book, the wisdom held, it did not deserve to see the light of day. There’s some truth to this argument, but I think it was much more valid when the book trade was big, profitable for small publishers, and the business was widely distributed among thousands of firms. Nowadays, a small number of media giants control nearly all of the titles that “move,” as well as most of the backlists that fill the rest of the shelves in bookstores. These companies, studies and anecdotal accounts suggest, are becoming ever more conservative. The costs of launching a commercial title are so high for them that they would much prefer to get a new book from an established author than to take a risk. But wait a minute. The major publishers, just like iUniverse, Amazon, and Ingram, print on demand. So, where are the costs? Hint: they’re not in the royalties. The real expenses are pre-production costs and distribution, and overwhelmingly, marketing. This is partly because the publishers’ economic model is still based on bookstores, and the need to put thousands (or hundreds of thousands) of physical copies on shelves around the world. But what about those regional, special-interest, niche-market titles? There are a number of new small publishers catering to niches. Combustion Books for anarchist steam-punk titles and Chelsea Green for sustainable living and farming titles like Harvey Ussery’s brilliant The Small-Scale Poultry Flock, for example. But I chose in 2007 to buy the bare-bones package and self-publish. I lined up my own editing (author Terry Davis, whose workshop I was attending, for story; my Dad, a master teacher of language and literature, for line-editing), sent in my file and my check, and they printed my book. That was just the beginning. I quickly learned that having a title, even on Amazon, does not make the registers ring. Marketing, getting the word out, getting people to look for it, took some real effort. Luckily, the internet offers people in niches an incredible opportunity to find kindred spirits, wherever they may be. I found teen-review websites where I could have my young adult novel read and reviewed by actual teens (they liked it), and I found a contest I could enter my book in (which it won). It’s still selling well, five years later. But back to history. I had a delightful conversation this week with a woman in Maine who has written a memoir that should be published. It has humor, conflict, suspense, local flavor, and incredible human interest. But how to get it into print? Well, the good news is that, since I tried it in 2007, the self-publishing industry has gone through another generation of change. You can now publish on Amazon, Lulu, and a variety of other platforms, with much more format-flexibility than was available a few years ago and completely free of charge. And they pay much better than they used to back in the early days. Much better on a per-unit basis, in fact, than traditional publishers. If you know what you want to say, if you’re comfortable with the technical end of putting a book together (I like to remind myself that Knowlton and many of the people who published books in the past didn’t have a professional editor, either), and especially if you know who will want the book and how to reach them, self-publishing might be something to consider. Thanks for raising this interesting issue. I've also been thinking about the possibility of using print-on-demand or self-publishing in teaching. It is always a challenge to have students see their writing as being meaningful to an audience beyond the professor. Perhaps collections of senior research papers could be published annually? I'd appreciate hearing of any departments that do this.